Tammitha Prince | Montgomery Alabama Real Estate - Search Over 3,000 MLS Homes for Sale or Rent in Prattville, Millbrook, Wetumpka & Montgomery, Alabama. Born and raised in the Prattville area, Tammitha has great pride in her community. As a "Hometown Girl" she is a firm believer in "Hometown Service". Over 11 years of Real Estate sales expertise combined with her administrative experience and vast knowledge of the area, proves invaluable to her customers and clients. 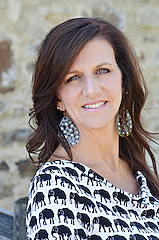 She is consistently a top producer and is a member of the elite Century 21 Master's Club. She has earned the Quality Service Award for outstanding customer service over and over again. She has extensive training through the world's largest military relocation company, giving her the knowledge to assist in every area of relocating, whether corporate or military. She holds the following credentials: Accredited Buyer Agent (ABR), Certified Residential Specialist (CRS), Graduate, REALTOR Institute (GRI) and holds an Associated Broker License. She is a Real Estate Professional who has made the commitment to provide a high level of professional services by securing a strong educational foundation. A few words to describe her are loyal, trustworthy and honest. Tammitha’s daughter holds a Masters in Education from the University of Alabama and lives in Prattville with her husband and two children. Her son holds a Bachelors degree in Public Relations from the University of Alabama and is currently National Account Manager for Edgenet in Nashville, TN. When she is not working, she enjoys spending time with her family and SEC Football. Call Tammitha today. Her "Hometown Service" is sure to make your next move a stress-free experience.